Last Monday Google announced the launch of their basic call tracking solution for AdWords. Since then, my company has received hundreds of questions about Google call tracking from media, clients, prospects, competitors, and random people on Twitter. Google is calling their version of AdWords call tracking ”Website Call Conversions”. The day they launched, we posted a response on our blog. In this post, we’ll answer a few of the questions we’ve received and explain who should use Google’s call tracking, and who shouldn’t. What did Google Just Release? Google will now display unique phone numbers on AdWords landing pages dependent on the visitor’s session. In other words, every visitor will see a different phone number on the AdWords landing page. Google is essentially offering session-based call tracking for AdWords only. It is free and, again, it is only for AdWords. It does not work for Google organic search. It does not work for the Google Display Network. It does not work for any lead source anywhere on the web, except AdWords. This now allows marketers to attribute calls to specific ads, campaigns, and keywords directly within AdWords. What are the Pros of Google’s AdWords Call Tracking Service? It’s free. Free is free is free. It works perfectly with AdWords. It is automatically integrated with AdWords and UA. It is relatively easy to set up…not necessarily easier than a third-party call tracking number, but simple. What are the Cons of Google’s AdWords Call Tracking Service? It only works for AdWords. Most marketers use AdWords as only a part of their broader marketing mix. If calls result from a Google organic search, Google’s display network or ANY other source, Google call tracking simply won’t track that call. 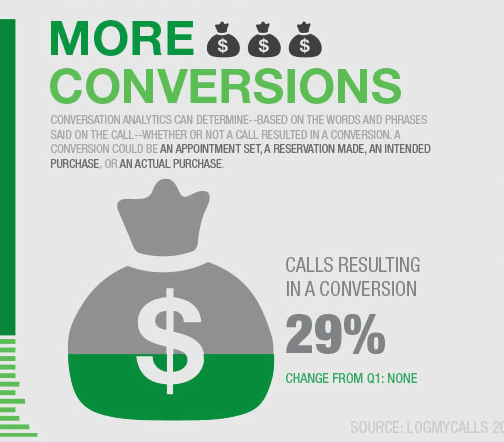 No in-depth call analytics. This is the big one for our company. Basic call tracking is not powerful. Deep call analytics—conversation analysis—are extremely powerful. That’s where the power of phone calls truly lies. No local numbers, only toll-free numbers are available. This is a problem for small businesses and enterprises with a local presence. No telephone features like call routing, scheduled routing, IVR, and geo-routing. These features matter to businesses. Are Call Tracking Providers in Trouble? No. Call tracking providers who provide more data than merely basic call tracking are going to be just fine. 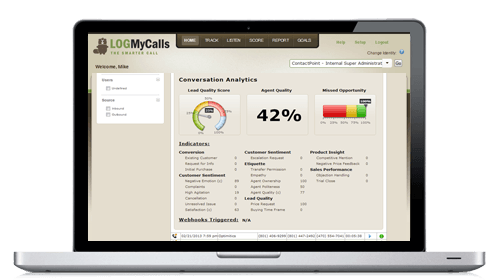 Deep call analytics like conversion rate can be extracted from calls using more sophisticated call tracking tools. Over two years ago, our company discussed internally that Google would eventually release a call tracking solution for AdWords. We just didn’t know when (our team actually thought it would happen sooner than it did). And we believed—and still do—that Conversation Analytics is the answer to Google’s entry into the call tracking market. Analyzing call conversations is and always has been far more powerful than simply telling you if someone called a phone number or not. That’s rather rudimentary stuff. Will there be some small prospects or agencies that decide to use Google’s AdWords call tracking? Absolutely. But, will they simply ignore the call data generated by their other marketing efforts? Certainly not. Who Should Use Google’s AdWords Call Tracking? If I was a small business spending $800/month on AdWords, and that was my only marketing spend, I would recommend using AdWords call tracking. It’s free. My call tracking vendor brethren might disagree with that statement. But, why wouldn’t you use it for that limited amount of data? Google provides basic call tracking for free for AdWords. If I’m a small business owner I likely don’t need all of the deep data, recordings, IVR, and routing capabilities provided by LogMyCalls and some other call tracking companies. Instead, I just need to know if a call was made. Small businesses—if they’re marketing exclusively on AdWords—should use Google’s call tracking platform. Who Shouldn’t Use Google’s AdWords Call Tracking? In the days since Google’s call tracking release a consensus has started to build, marketers with a small AdWords budget could significantly benefit from Google’s AdWords call tracking. Agencies our company works with—and the blogs of agencies we don’t work with—are saying they will encourage their smaller clients to use Google’s AdWords call tracking. The data is basic, the information is simple, it is relatively easy to implement. So, specifically, what types of companies should not use Google’s call tracking solution for AdWords? Agencies: Agencies that want to use Google call tracking for small clients and a third-party call tracking provider for larger clients are going to find themselves in a mess of data, reports, and analytics. Don’t use two platforms when you can only use one. It makes life harder. SMBs Doing More Than AdWords: Earlier we used the example of a small business spending $800 on AdWords as someone who should use Google’s call tracking tool. 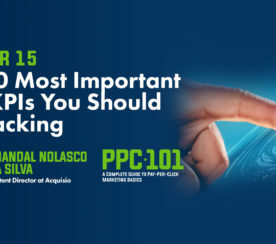 That is true – if that small business is ONLY spending money on AdWords. If that local business is spending money on local radio ads, directory listings, SEO, Facebook, LinkedIn, etc. they should use a third-party call tracking vendor. Because Google can’t provide call tracking for any of those sources. Their tool ONLY works for AdWords. Enterprises: Obviously sophisticated marketers at enterprises need more data than Google is providing on AdWords. Every enterprise exec we’ve talked to knows this. Basically, any company that wants deep analytics or even basic telephony features simply shouldn’t use Google call tracking. Calls are now mainstream for marketers. If Google cares about something, everybody cares about that something. 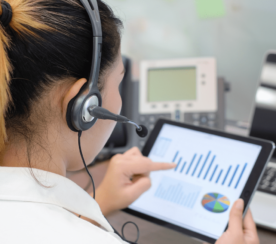 Google’s foray into call tracking validates the call analytics world. Google now believes that calls matter. The rest of the marketing world will follow Google’s lead and start caring about calls too. Call data and call intelligence are mission-critical for leading businesses. The exciting thing for the call tracking industry is that now, with the entrance of Google, there is a known entity that cares about phone calls. Google cares about calls! In short: Google might take a piece of the call tracking pie, but they will also increase the size of the pie dramatically. More pie is always good for everyone.